I got a few more of these blocks done. I need 9 more to finish the top. 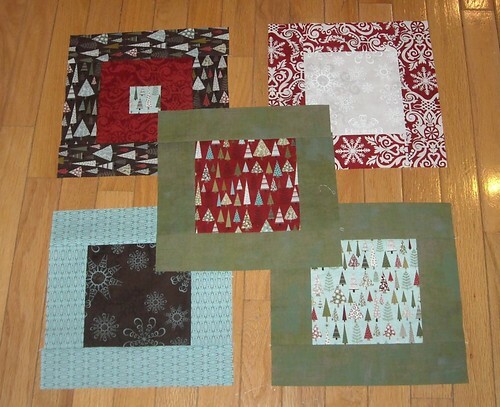 Will be going to Quilter's Haven for more Figgy Pudding fat quarters when I get home. Do you see how I forgot about the directional print in the brown trees there? Sigh. oops...but it still looks lovely!! this figgy pudding is popular, i can see why. This is going to be a beautiful quilt. Can't wait to see it when it is finished. You've collected some really beautiful Christmas fabrics! I love these blocks! I just love Figgy Pudding... I haven't cut into mine yet but I'll have to soon! 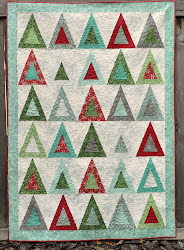 Can't wait to see your finished quilt! i am the queen of forgetting about directional prints! it still looks great though! You are the only one that will ever notice that block! They are darling!